Where and how people lived in Featherstone 2000 years ago. Featherstone Make a Difference Forum > Forum > Featherstone History > Town History > Where and how people lived in Featherstone 2000 years ago. You can see how the trackway comes to a sudden end for no reason, the trackway was the road into the settlement. 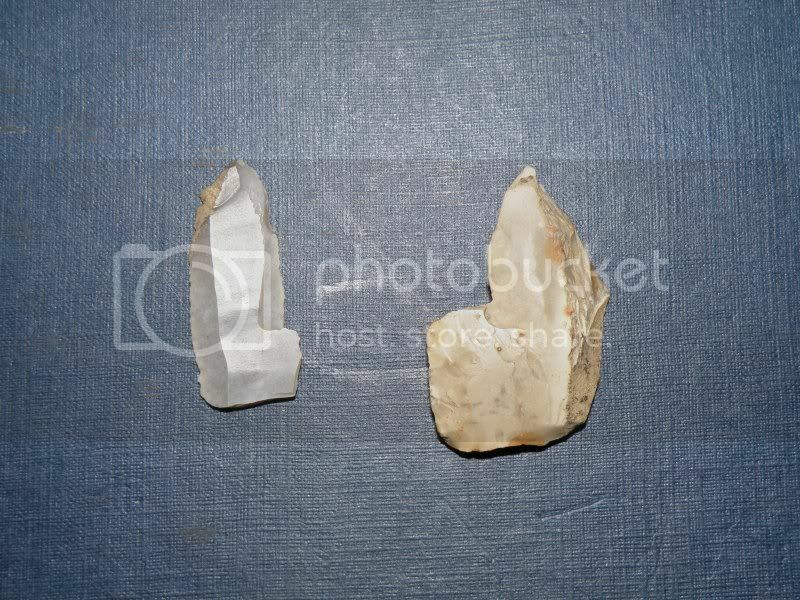 This site has recorded finds dating back to prehistoric times which include flint tools and artifacts. The reason stone age people chose this site was because of the water source to the left which once was a river, they needed water to survive for cleaning and drinking. These type of stone age people were known as hunter-gatherers and their origins date back 5000 years. Their source of food was picking berries, wild plants and hunting deer with primative weapons. 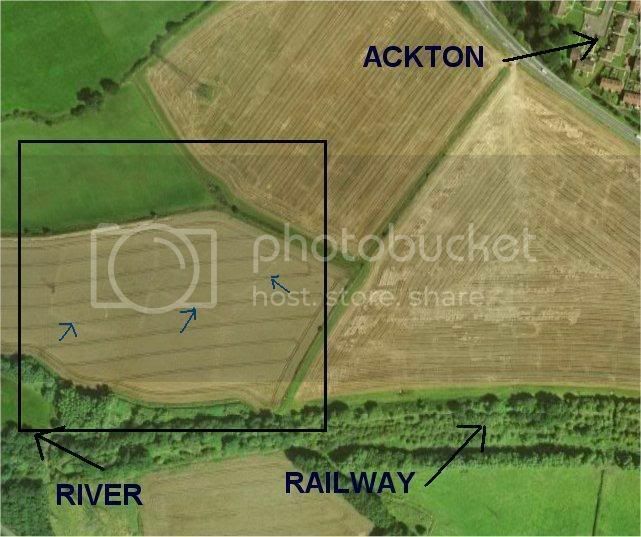 This next site is in ackton and is a Celtic Romano farmstead viewable as a faint outline in the crop. 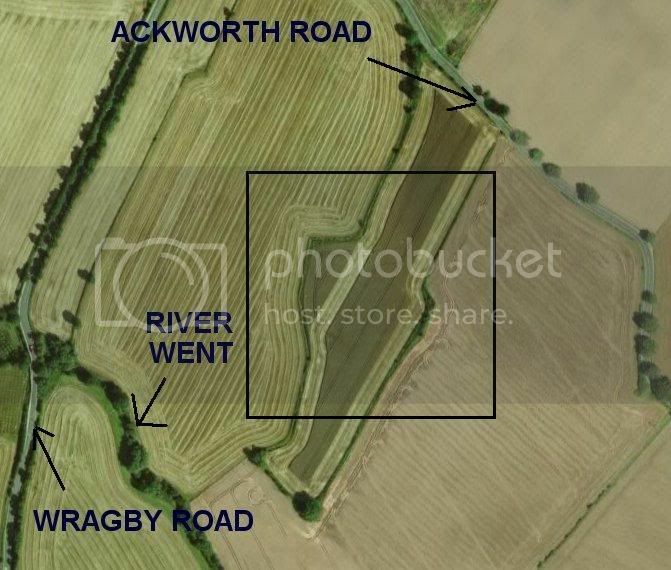 You can clearly see the out line of the boundary ditch of the rectangle enclosure, a road into the farm and a visable road heading towards Ackton. These people were iron age people and by this time we had moved on from hunter gathering to farming crops and rearing animals such as chickens, goats, cattle and so forth. These people created the platform for our modern society as it is today and are your ancestors. Again, the site was chosen because of the river which was once much bigger than the beck that remains today. The next picture is another Corieltauvi Celtic settlement that dates back to 30BC. Iron age in origin with finds dating to that period found on the site. Chosen because of the lifeline of the river Went and the fertile land. These people also needed water to nurish their crops during dry spells. The central enclosure is rectangular but has been destroyed by farming leaving just a imaginable outline. There are many more of these sites dotted in and around Featherstone. The Celts did not live in large towns like the Romans did but prefered smaller farms and tiny settlements of maybe 50-100 people. The land was shared equally among themselves. These were the true free people of this land, today we dont have freedom that these people had but we don't have the hardship or desease either. The life expectancy for a man living in those times rarely exceeded about 40 years old, women a little longer round about 50. Re: Where and how people lived in Featherstone 2000 years ago. Thankyou for posting that, it was very interesting reading. I fear that we do not know enough about our local history and yet it is so fascinating. outstanding presentation. as i know buggar all about the history you have given but hold an interest i found your post most interesting. when you have time and if you have more please post. 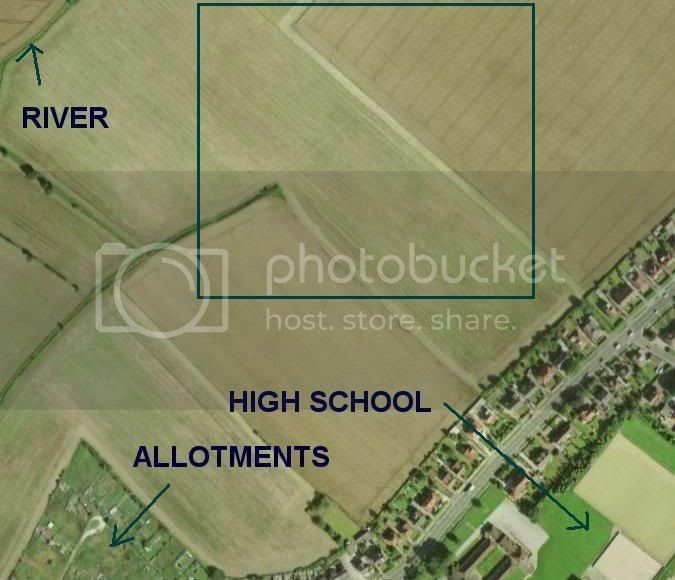 my only first comment would be is there or was there anything where they have stated building at Ackton? I take it you mean the industrial units at the far end of Ackton. WYAS did surveys on that land about two years ago and I went and had a look at these trenches which were quite extensive across the whole area. The trenches didn't find anything really important and so building was allowed to continue. However, the new bypass area near to the M62 flyover and the road heading towards Ackton from the flyover cut through a pasture field belonging to Huffy. The research in that field didn't seem as intensive as it should have been in my opinion. Those pastured fields in and around Huffy's farm are littered with archeology from Roman and Celtic times and it's a known fact. click 'agree', which it might ask you a couple of times, type 'Roman' into the search box then click on the map where you are roughly located within the UK, it will then give you a close up of the region. Click on Featherstone on the map and it will list pages of stuff in and around Featherstone giving exact details of where it was and records to go with it. Its a fantastic tool for researching the past. I made an error in some of the explanations of Celtic tribes. The Brigantes were the main tribe occupying most of Yorkshire and my confusion lies with the use of Corieltauvi coins from a bordering tribe which were minted in south Ferriby in Humberside of which many have been found around these parts. I apologise for this mistake. We were not Corieltauvi but Brigante tribe which were a lot more aggresive than the Corieltauvi and apposed to roman rule. i am finding it hardjust at present loging in to the archives on the programe you put in on the letter you published.